By now, you’ve probably heard that I’m not a huge fan of #GivingTuesday. I believe that it’s a mistake for non-profits to try to run a one day giving campaign on the same day as every other organization. 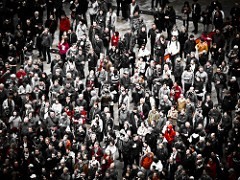 Your message and donor communications get muddled and crowded out when they’re mixed with thousands of other solicitations, all arriving in your donors’ mailboxes on the same day. Several non-profits have taken that stance to mean that I am against “giving days” in general. Nothing could be further from the truth. I believe that running a giving day for your non-profit can be extremely profitable for your organization, if you do it the right way. Today, let’s take a look at giving days… what they are, why they matter, and how your non-profit can run one to raise money and excite your donor base. A giving day is essentially a one day fundraising campaign that your non-profit runs to generate awareness, find new donors, and raise money to support your work. It’s a day dedicated to fundraising at your organization… an “all hands on deck,” 24 hour fundraising program for your non-profit. Think of a giving day as your organization’s own personal #GivingTuesday… a day when you can generate buzz and revenue through a coordinated series of activities, just like #GivingTuesday, without having to compete with thousands of other organizations all doing the same thing on the same day. Many local communities and geographic sectors run their own giving days, where multiple organizations focus on massive fundraising activity on the same day. 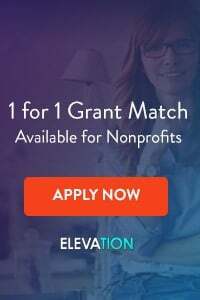 While the tips in this article will help non-profits participating in these mass-giving events, our focus is on organizations that are running their own, stand-alone giving days to raise money specifically for their own work. Why Do Giving Days Work? Giving days work because they focus everyone at your organization on one simple task: raising as much money as possible in a single day. Giving days allow you to wrangle your board, program staff, and volunteers to help your fundraising team reach out to donors and spread the word about your fundraising efforts. By holding a giving day for your organization, you can leverage your team’s work into massive buzz and attention for your non-profit, expand your capacity by finding new donors, and remind your donors, board, and other supporters about the importance of fundraising for the success of your organization’s mission and programs. Planning a successful giving day that reaches its fundraising goals takes time and effort. For your first giving day, you’ll want to make sure you start planning at least 2 months in advance. I recommend that you create a short written plan for your giving day and treat it with the same care and forethought as any other fundraising campaign at your organization. Giving days work, in part, because everyone in your donor and volunteer universes understand that you are running a special fundraising day to support your work. 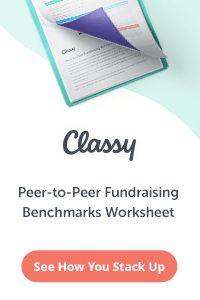 Don’t try to hide the fact that you are running a day focused solely on fundraising. Many non-profits run a “secret” giving day by sending out tweets and e-mails about fundraising without ever actually announcing the giving day. Don’t make that mistake. Be proud of the fact that you are running a 24 fundraising campaign to help you carry out your work. Likewise, your team should create a short case for support for your big day that explains why you are running the one day campaign, how much you are trying to raise, and why it is so important to raise that amount in a short period of time. Don’t be nebulous with your giving day. 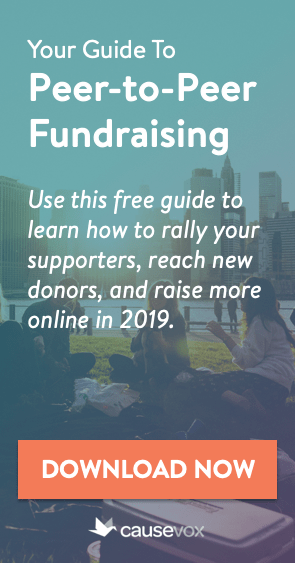 Set a clear fundraising goal so that everyone on your team (including your donors) is on the same page when it comes to the days’ activities. Instead of saying that you want to raise as much as possible that day to provide scholarships to inner city students, tell your donors that you are raising $48,000 in one day to provide 10 full scholarships for the coming year. Consider creating a donor pyramid for your giving day that you can use internally to show how many donors you need at various levels in order to reach your goal. Remember, if you are setting an ambitious goal for your day (and you should!) you will need to include major donors in your giving day fundraising mix. Some non-profits think that giving days are a “set it and forget it” fundraising strategy. They plan out their giving day, develop a brand for it, then when the big day comes they send out an e-mail blast and post asks on social media, then go back to their regularly scheduled activities. Such efforts are doomed to fail. Successful giving days require constant activity for the entire day. This means phone calls, meetings, online videos, e-mails, social media… for the entire day… for your entire team. #6 – You Need a Team! Speaking of your team – remember that you need one! In addition to your development staff, you’ll need to get your board and even your program staff involved in your fundraising efforts if you want to have the most successful giving day possible. I also recommend that you put together a “giving day committee” composed of some of your most dedicated volunteers, donors, and board members. This committee should be responsible for helping your team spread the word about your big day by being active on social media, sending out e-mails, attending events (if you have them) and of course, making a donation to support your giving day campaign. PR – Sending out press releases, doing interviews on talk radio, etc. 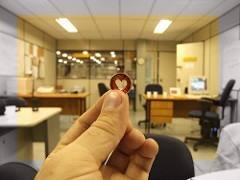 The more activity you carry out on your giving day the better. Remember – your goal is to make sure that everyone in your network is donating as part of your day, as well as talking about the day and helping you spread the word. Your entire team should be involved in helping to build buzz and excitement for your big day, in addition to making asks through social media, the phone, in-person meetings and more. Want More Tips for Successful Giving Days? Giving Day Playbook – Presented by the Knight Foundation. Focused mostly on community-wide giving days, but with lots of applicable tips for giving days for individual non-profits. 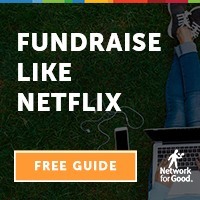 A Non-Profit’s Guide to a Successful Giving Day – Presented by Network For Good. Free, but requires registration.